Once again, Eugene Teplitsky has done it! 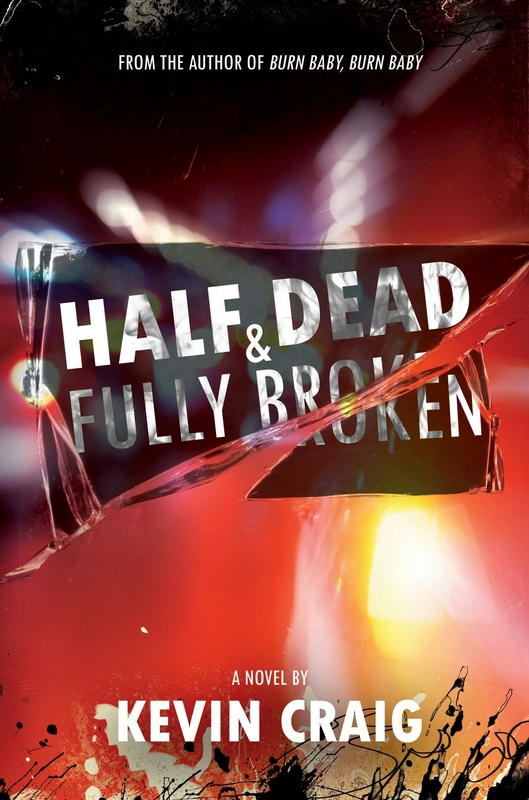 Eugene, from Kevin Craig's publisher, CURIOSITY QUILLS PRESS, has created a stunningly beautiful cover for Kevin's 5th novel, HALF DEAD & FULLY BROKEN! Half Dead releases JANUARY 19th, but you can pre-order it today on #Amazon! Simply click on the link below! Kevin is also a playwright and has had eight 10-minute plays produced. His most recent plays were included in Driftwood Theatre’s Trafalgar24 Play Creation Festival and the InspiraTO Festival at the Alumnae Theatre in Toronto. Kevin’s poetry, short stories, memoir and articles have been published internationally. Kevin was a founding member of the Ontario Writers’ Conference and he is a long-time member of the Writers’ Community of Durham Region (WCDR). He is represented by literary agent Stacey Donaghy of Donaghy Literary Group. My Amazon Page - Check out Kevin Craig's novels!